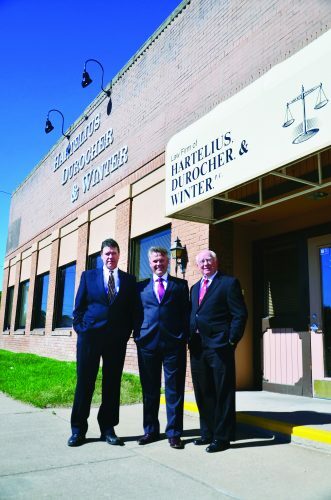 With his Bison-blue partners, Roland Durocher and Jeff Winter, Hartelius’ firm represents plaintiffs from all over Montana—they’ll even take clients who’ve graduated from Great Falls High’s cross-town rival, CMR. Whether you want to inspire your six-year-old, clamp a rose between your teeth, or have fun working off a spare tire, Great Falls’ Studio Centre will get you moving in the right direction. Owner and director Linda Fuller, better known as Miss Linda, works with instructors Maria José Staley Ramon Ros, Sarah Dassinger and Karen Ogden. Classes include flamenco, hip hop, ballet, cheer, Pilates, tap, jazz, musical theater, contemporary, and more. Thanks to Miss Linda, Great Falls has seen countless productions and performances— and she’s taught some impressive professional performers, including Germany’s Kristin Tovson, Broadway’s Brett Tuomi, and Fuller’s own daughter, Shannon Hudson, who teaches and performs in London. Beneath a dangling crescent wrench collection, Fritz Seitz leafs through an angled rack of repair manuals. Since 1979, this has been Fritz’s podium; these are his icons and holey books. 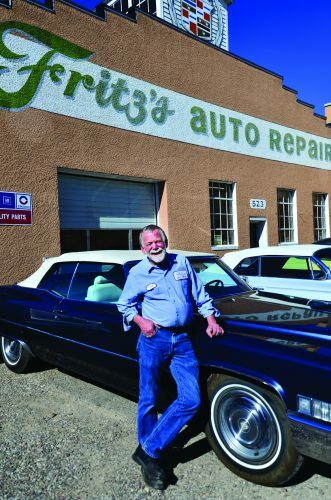 Fritz and his skilled mechanics work on Cadillacs, new and old—though the occasional Chevrolet rolls in.